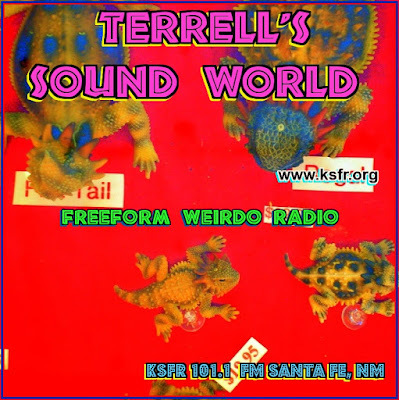 Stephen W. Terrell's (MUSIC) Web Log: TERRELL'S TUNEUP: COCKADOODLE DOO! How can you not love an album that begins with a slide guitar lick from a guy called “Khorn Sirrup” followed by the line, “Well I ain’t too pretty and I ain’t too bright ...”? 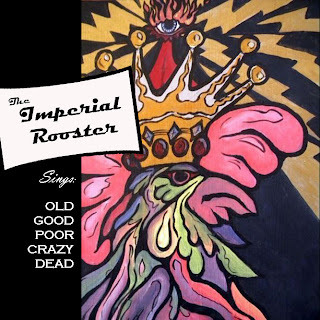 The album is Old Good Poor Crazy Dead, and the band responsible for it is The Imperial Rooster. They’re from Española, and the singer’s right. They ain’t too pretty. From the looks of the band photo on the inside cover of the CD, I’d hate to meet these guys in a dark alley — or even worse, a well-lit alley. But pretty or not, I can’t get enough of this album. This is good, rootsy hillbilly slop. I don’t hear a jug in the mix, but The Imperial Rooster has a real jug-band spirit — on top of a punk-rock soul. The band members’ funny monikers — such as “Nat King Kong,” “Cootie LeRoux,” and “Dusty Vinyl” — create a mythological musical world somewhere along an astral plane between Dogpatch and Española. 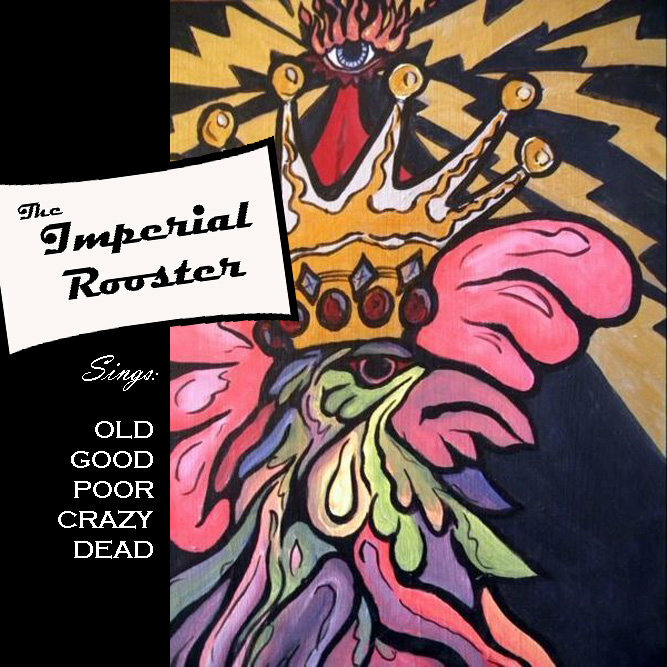 The Imperial Rooster plays The Cowgirl BBQ, 319 S. Guadalupe St., at 9 p.m. on Dec. 11. Bring your own pig forks. * Wheel of Life by Boris McCutcheon & The Salt Licks. Here’s the latest collection of melodic celebrations from the Massachusetts-born singer-songwriter and his capable, underrated band. Wheel is McCutcheon’s third album with The Salt Licks. While I still prefer the first, 2005’s Cactusman vs. the Blue Demon, the new one has some real delights. My favorites here are the ones in which he cuts loose with honky-tonk abandon. The first song on this album (“What Ails You?”) grabs you right from the beginning with its Johnny Cash chunka-chunka beat. That’s Susan Hyde Holmes on upright bass and Brett Davis on twang guitar and lap steel. 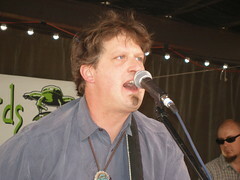 Though McCutcheon is known mostly as a songwriter, on Wheel of Life he includes three songs written by others. There’s a decent version of Townes Van Zandt’s “No Place to Fall” and a fun take on “Lee Harvey,” a tune written by Homer Henderson but best known for The Asylum Street Spankers’ version. It’s about a guy who apparently was involved in some kind of kerfuffle in Dallas back in the early 1960s. Despite its unnecessarily slanderous lyrics about a Texas businessman named Jack Ruby, it’s a fun song, and McCutcheon does it justice. And once again McCutcheon teams up with Albuquerque songwriter Mark Ray Lewis from the band Trilobite. On Cactusman, McCutcheon covered Lewis’ spooky “Caves of Burgundy.” Here he does a Lewis tune called “Mark Twain.” It’s not about the author. It’s a compelling tale about a fateful romance with a farmer’s daughter and a trip into the unforeseen. * Keep ’em Coming by The Whateverly Brothers. 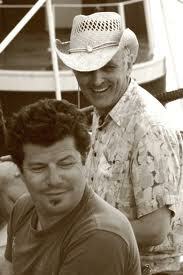 Longtime Santa Fe favorite Jono Manson joins forces here with an old pal, British singer-songwriter George Breakfast. The two were musical compadres in New York back in the ’80s and became The Whateverly Brothers in the early part of this century. The first 10 tracks in this collection are new recordings. But also here is The Whateverly Brothers’ entire first album, Global Toast, which was recorded in Denmark in 2001. The Whateverly Brothers make a rare Santa Fe area appearance at 7 p.m. on Sunday, Nov. 28, at Mike’s Music Exchange in La Tienda shopping center in Eldorado. The suggested donation (come on, pay it, ya cheapskates!) is $15. Hey Steve, thanks for the compliments on the new album. Peace.